Please take the time to view our bathroom products, create that stunning bathroom you`ve always drteamed of ! Wetwall Panels	Premium wetwall panels with a 10mm MDF board and high quality laminate finish. Shower Panels	Huge range of shower panels to create that shower you`ve always wanted. Acrylic Sheet	Stunning high gloss acrylic sheets, suitable for showers or bathroom walls. Ceiling Panels	Ceiling panels and profiles to add that finishing touch to any bathroom. Vanity Tops	Square Edge and Bullnose edged vanity tops to suit all bathrooms. 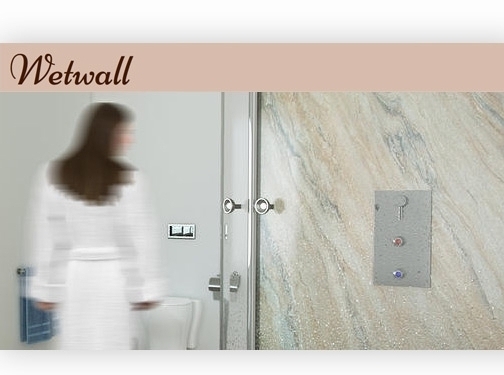 Bathroom Wall Panels	Our economy rage of bathroom panels to suit any budget. Bathroom Flooring	Waterproof bathroom flooring in a range of plank and tile effects. PVC Bathroom Cladding	Large bathroom panels to economically cover large areas. Please contact our sales team for any advice or technical information. UK (Sheffield, South Yorkshire) based business providing tiling, flooring and cladding products. Website includes e-commerce facilities, delivery information, full contact details.